Microcosm studies of ecological processes have been criticized for being unrealistic. However, since lack of realism is inherent to all experimental science, if lack of realism invalidates microcosm models of ecological processes, then such lack of realism must either also invalidate much of the rest of experimental ecology or its force with respect to microcosm studies must derive from some other limitation of microcosm apparatus. We believe that the logic of the microcosm program for ecological research has been misunderstood. Here, we respond to the criticism that microcosm studies play at most a heuristic role in ecology with a new account of scientific experimentation developed specifically with ecology and other environmental sciences in mind. Central to our account are the concepts of model-based reasoning and analogical inference. We find that microcosm studies are sound when they serve as models for nature and when certain properties, referred to as the essential properties, are in positive analogy. By extension, our account also justifies numerous other kinds of ecological experimentation. 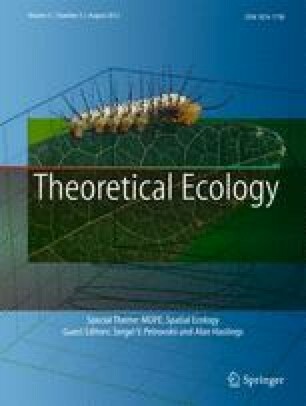 These results are important because reliable causal accounts of ecological processes are necessary for sound application of ecological theory to conservation and environmental science. A severe sensitivity to reliable representation of causes is the chief virtue of the microcosm approach. We thank participants of the Sustainable conservation: Bridging the gap between disciplines conference held in Trondheim, Norway (March 15–18, 2010) for criticisms of these ideas which were first presented there and for conversations that helped us to develop them more fully. C. Brassil, M. Cadotte, J. Chase, and J. Shurin kindly provided many useful comments on an earlier version of this paper, which was further improved by the comments of three reviewers. A. Silletti and A. Janda assisted with the preparation of the manuscript.